Your Conscious Consumption Inner Champion supports you in developing the Conscious Consumption capacity and activating it in your life when needed. 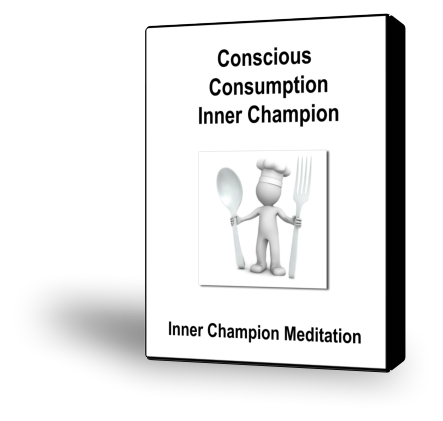 This guided meditation will help you evoke your Conscious Consumption Inner Champion. With the Conscious Consumption Capacity, you have the ability to stay grounded in your body and maintain awareness of your process of eating. You are aware of the bodily cues that you need something, and you can sense what you need. If you are hungry, you can tell what you are hungry for. You aren’t conflicted about satisfying your need, and you can tell when you are full. Therefore, you can make appropriate choices about healthy eating and nourish yourself in a loving ways without being overly concerned about food. You don’t eat when you’re not hungry, you don’t overeat, and you choose mostly healthy foods.